Answer yes or no to the following questions. The more statements you strongly agree with; the greater the probability of a diagnosis of compulsive hoarding. 1. I will keep multiple copies of identical items. Just in case. 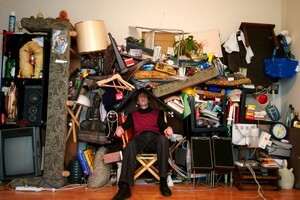 Although not a clinical evaluation of compulsive hoarding, the more statements that you strongly identify with, the greater the likelihood that you have a problem with compulsive hoarding. If you have a problem with hoarding and decide you want treatment, then cognitive behavioral therapy, and sometimes medication, can help you to overcome your disorder and take back control of the way you live.